The streak of different winners gracing Sunset Speedway’s St. Onge Recreation Super Stock victory lane is over as Brandon Passer became the first repeat victor on Saturday night. Johnny Morrison won the first heat ahead of Justin Holmes, Stefan Semeraro, Brandon Passer, Tom Walters, Ethan Constable, and Nick Tooley. Dustyn Mombourquette won the second heat ahead of Coltin Everingham, Frank Davey, Mike Weeda, Gerrit Tiemersma, Dan Robb, and William Hughes. Brandon Passer won the third heat ahead of Walters, Morrison, Semeraro, Holmes, Tooley, and Constable. Mike Weeda won the final heat ahead of Everingham, Tiemersma, Robb, Mombourquette, and Hughes. Notably, Tiemersma and Robb wrecked coming to the checkered of the race. 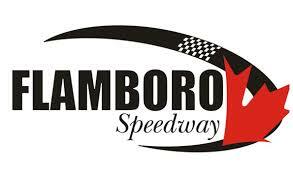 Come feature time, Johnny Morrison started pole ahead of Dustyn Mombourquette, Gerrit Tiemersma, Tom Walters, Mike Weeda, Brandon Passer, Coltin Everingham, Justin Holmes, Stefan Semeraro, Frank Davey, Nick Tooley, and William Hughes. Morrison took the early lead off as Mombourquette and Walters battled for second. Walters got the spot on Lap 2 ahead of Mombourquette, with Weeda and Passer side-by-side for fourth. Passer got the spot a lap later, moving up into third ahead of Weeda, with Mombourquette now side-by-side with Holmes for fifth. Behind them, Tiemersma ran seventh as Davey, Everingham, and Semeraro went three-wide for eighth. Passer would jump up into second on Lap 5 ahead of Walters, Weeda, Holmes, Mombourquette, Davey, and Tiemersma with Semeraro and Everingham side-by-side for ninth. Davey would get alongside Mombourquette for sixth at Lap 8, completing the pass a lap later. Further up the field, Weeda got alongside Walters for third at Lap 10 ahead of Holmes, Davey, Mombourquette and Tiemersma. Semeraro would get alongside Tiemersma eighth at Lap 12 ahead of Everingham, Tooley, and Hughes. Semeraro completed the pass two laps later. At the front of the field, Passer tracked down Morrison for the lead, getting alongside him at the halfway mark of the event, as Walters and Weeda continued to battle for third. Weeda got the spot a lap later, allowing Holmes to get alongside Walters for fourth. Davey ran fifth ahead of Semeraro, Mombourquette, Everingham, Tiemersma, Tooley, and Hughes. Passer would take the top spot with 10 laps to go ahead of Morrison, Weeda and Holmes, as Walters and Davey battled for fifth. Davey got the spot, getting alongside Holmes for fourth a lap later. Walters now ran sixth ahead of Semeraro, Mombourquette, and Everingham. Davey got the spot on Lap 24, with Semeraro passing Walters for sixth a lap later. Brandon Passer led the rest of the way for the win ahead of Johnny Morrison, Mike Weeda, Frank Davey, Justin Holmes, Stefan Semeraro, Tom Walters, Dustyn Mombourquette, Coltin Everingham, Gerrit Tiemersma, William Hughes, and Nick Tooley.